Instead of just focusing on one or two gadgets this month, I decided it was the time of the year for a wish-list. I’m not saying that these products have to show up under my tree, but I wanted to talk about a few gadgets that I’ve been hearing a lot about lately. It’s likely I’ll review some of these products in more detail in the New Year. Eeek! It’s the Eee PC! I don’t see the Eee PC replacing your current desktop or laptop, but there are some incredible positives about this little machine that could make it a worthy addition to your travel briefcase. There have been several attempts over the last few years to make the traditional laptop smaller and more usable on the road. Take, for example, the OQO and the FlipStart. The Eee PC from Asus is only 8.9″ by 6.5″ and is just around an inch thick. It only weighs 2lbs. It features a 7″ screen which is the same size screen found in many portable DVD players. The Eee PC looks and acts just like a traditional laptop except that it has a solid state drive inside rather than a regular hard disk. This won’t mean much to the average user, except that a solid sate drive does not need any time to boot up or move data around. It’s instant on, just like many PDAs or mobile phones. People have been talking about replacing traditional hard drives in computers for a long time now, but the technology wasn’t quite there yet. It’s getting there quick, though, and the Eee PC is a fantastic example of how we all can benefit from the innovation. Imagine never having to wait for your computer to boot up, or twiddle your mouse around waiting for Microsoft Outlook to launch. This will be the future of laptop computers. The Eee PC is a model of simplicity. It’s not meant to do your video editing, and it’s a far cry from being able to play today’s popular video games. 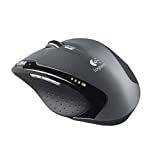 But by all reports, it does an excellent job of surfing the Internet, checking e-mail, editing documents, and even playing some digital music. I see this as a perfect portable machine that I can take on short trip where I don’t want to lug around a larger laptop. And it’s perfect for sitting on the couch at the end of the day to catch up on my blog reading. At the moment, the Asus Eee PC ships with a customized flavor of Linux. And while that may sound intimidating to many folks, the interface provides intuitive icons for opening the applications you need. 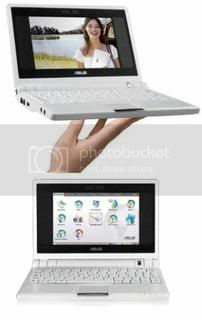 According to some sources, Asus will soon ship an Eee PC running some form of Windows. I’m more excited about the Eee PC from the standpoint that it’s a functional consumer laptop using a solid state drive. The promises for the future are amazing. The Eee PC currently retails for $399, but price will drop as the technology improves. Is that an LED in my Laptop? 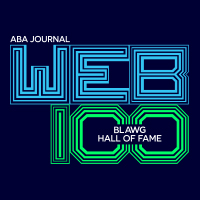 It’s no secret to those who follow my work that I’ve become a big fan of Macs (review here in LLRX and at Law.com). I certainly keep a big foot firmly planted in the Windows world, but I’ve thoroughly enjoyed using my MacBook Pro on a daily basis. It’s hard to predict when Apple will upgrade their MacBook laptops, but one big announcement happened soon after I purchased my MacBook Pro earlier this year – Apple started replacing the cold cathode fluorescent lamps (CCFLs) that light their screens with higher efficiency light-emitting diodes (LEDs). This replacement doesn’t really change much on the user end – it doesn’t change the dimensions of the MacBooks and most users won’t be able to tell the difference when viewing the two technologies side by side. The replacement does mean that today’s MacBooks weigh slightly less than previous models. The LEDs run much more efficiently than the old CCFLs and the LED screens also achieve full brightness quicker. It also means that today’s MacBooks run “greener” than before. I’m waiting for Apple to include a wireless cellular card in the MacBooks but I don’t want to run on AT&T. 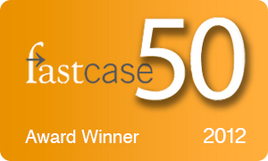 I’d prefer a faster card from Verizon Wireless or Sprint. That way, I can stop carrying around my Verizon USB720 Modem. I don’t yet have an iPhone, but I know it’s inevitable. I’ve been holding out for the second generation, which I hope will feature more storage capacity and another wireless carrier that can provide faster download speeds. I know everyone is tired of hearing about the iPhone, but if you’ve ever held it, used the Web browser (with Wi-Fi of course), and “pinched” a picture to zoom in or out, you’ll understand the lustful attraction. I’m also curious about the new LG Voyager VX10000 (perhaps the more 0’s they add, the cooler the phone is). I recently traded in my Treo 700w for an LG VX8700 from Verizon and I’ve been very pleased with it. I don’t see the LG Voyager as an complete iPhone “killer,” but I’m glad to see that mobile phone manufacturers are starting to re-think some of their outdated design ideas. 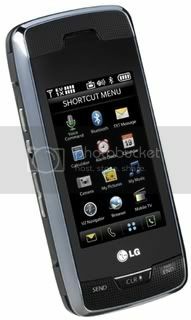 LG has been on the forefront of many great cellular products with the Chocolate and the EnV, but the iPhone to me broke through the tired, old mold that so many mobile phones had fallen into with confusing menus and hard to operate features. The iPhone opened our eyes to what could be done with a mobile device and I’m ready to see what the mobile phone world will be like in two years. Does anyone remember a world without an iPod? And do you remember what the first iPod looked like? That first iPod was absolutely riveting when it first arrived on the scene, but it’s incredibly clunky by today’s standards. The iPhone will enjoy a similar evolutionary path in the next several years at the hands of Apple engineers. I’m anxious to get my hands on Microsoft’s Windows Home Server. I’ve been hearing about this a lot from Paul Thurott and his Windows Weekly Podcast. As Paul describes it, Windows Home Server is based on the rock-solid Windows Server 2003 core, and provides three basic services: 1) automatic PC backup, restoration, and PC “health monitoring;” 2) document and file sharing; and 3) remote access capabilities to both the server and individual PCs connected to the server. All three of those functions can be achieved on their own, but Windows Home Server streamlines it all, and apparently does a great job at it. Although the software can be theoretically purchased separately and installed on your own computer, it appears that several manufacturers will be designing machines around Windows Home Server technology. At the moment, it looks like HP is at the head of the pack with their MediaSmart Server. I have always been a fan of the E-Ink idea. I got even more excited when I saw the Hollywood concept portrayed in the movie Minority Report (clip from YouTube). Imagine having a flexible page of plastic that you can hold like a newspaper, and on which the information changes every day (or hour). You still get the feel of holding tangible paper, but all of your information is delivered digitally. 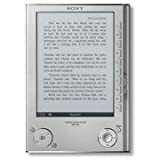 While we’re not quite to the Minority Report, the Kindle from Amazon and the eBook Reader from Sony certainly lay the groundwork for getting us there. I’ve not had a chance to use either of these products, but the main complaint I hear is that the contrast is not quite good enough yet. The background needs to whiter like real paper, and the text needs to be blacker. The technology will evolve, however, and the contrast will get better. If you’re interested in this technology, you’ll really enjoy Steven Levy’s article from Newsweek, The Future of Reading. Steven springboards off the introduction of the Kindle to discuss the future of reading books. Andy Ihnatko of the Chicago Sun-Times also has a good review of the Kindle and illuminates some of the possibilities of the product. 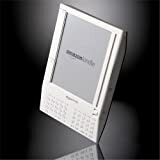 For example, the Kindle includes a Web browser and does not charge additional fees for surfing the Web on the included wireless connection (which apparently runs on Sprint’s EV-DO). 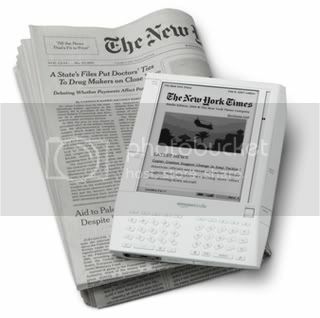 Where the iPod has become a portable device for music and video, the Kindle could become the same for everything you read – newspapers, blogs, magazines, books, and documents. Each Kindle comes with a unique e-mail address. That means you do not have to hook up the Kindle to a computer to get information on to it. The e-mail address allows you to send documents directly to the Kindle so that you can read them on the go. For example, say you have some briefs or research that you need to read on the plane – just e-mail them to your Kindle before you walk out of your office and you’ll have them all in one place ready to read. Apparently more people are starting to catch on to the possibilities of owning a Kindle. It’s currently out of stock on Amazon. 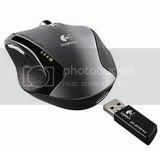 If you’re in the market for a portable, wireless mouse, then jump over to Jeff Beard’s excellent article on the mice he’s looked at recently. Jeff is a good friend of mine, and I always enjoy talking tech with him. Jeff is always thorough in his review of any product, and his cordless mouse review is fantastic.